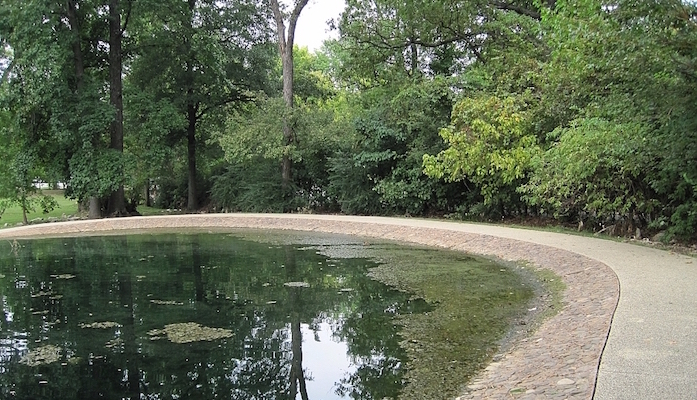 About 4 miles west of downtown, Overton Park is one of the gems of running in Memphis, with 342 acres of grassy public lands complete with trails and endless sights. 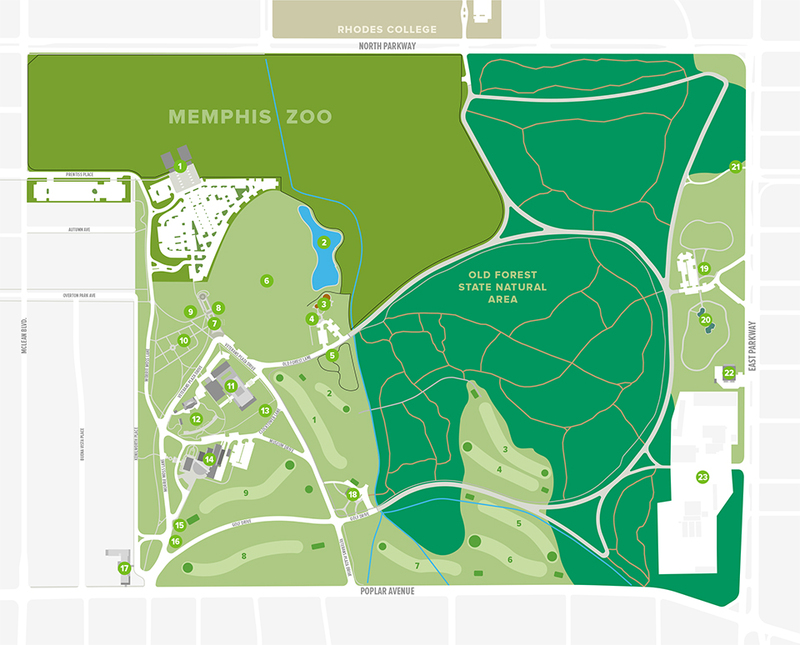 The grounds include a golf course, the Memphis Brooks Museum of Art, the Memphis College of Art, a zoo, lakes, and a spectacular 126-acre old growth forest. It’s the perfect central location for a “walk in the woods,” and with miles of loopy trails, you can thread together a run that’s as long or short as you please. Most of the park is paved, with the exception of some of the paths through the Old Forest, so take mud and your own tolerance for terrain into consideration while planning your route. If you’re at a loss as to where to begin, try the 1.4 mile designated Limestone Running Trail.